As an art student at the College of Creative Arts you’ll be producing work that makes us think and feel, act and react, whatever your mode of art-making - performative, digital, object-based, lens-based, paint, print, installation, film. Through intensive studio engagement you’ll experience a wide range of approaches to making art, and develop your own unique practice. With a programme that is not media-specific, focusing on the methods and ideas of contemporary art production, you are encouraged to make bodies of new work that are responsive to a variety of contexts, supported by technical workshops that assist you to develop the practical skills you need. Like our staff, you can work across sculpture, painting, drawing, performance, installation, moving image, photography, printmaking, site-responsive work, curatorial activities and art writing. The BFA will stretch you, ground you in art theory and immerse you in art-making. The BFA prepares you for any career that requires creativity, resilience, determination, critical thinking, problem-solving and attention to technical excellence. Massey’s College of Creative Arts is ranked in the top 100 by QS University rankings, first in Asia Pacific for design concept, and is NASAD approved as Substantially Equivalent. If you are an international student, please check out how to apply. Massey University offers a range of scholarships for high achievers. Be quick: the application deadline is August 20. Selection for the fine arts degree is by portfolio and interview, but high-achieving students may be eligible for automatic entry. The application due date is 1 October each year. Late applications will be considered if space is available. See the College of Creative Arts website for more detail. It is recommended that international students apply at least three months before the start date to allow for processing. Long before Jordana Bragg graduated from University with a Bachelor of Fine Arts with honours she had contributed to numerous panel discussions, group shows, and exhibited her final fourth year project in the main foyer of the Christchurch city council building, as part of the Body Festival (2015). Currently Jordana is: working at City Gallery Wellington as a host and audio visual technician; a member of the Enjoy Public Art Gallery trust board; a founding member of the new Wellington based artist-run initiative Meanwhile Gallery (35 Victoria Street); and is involved in the exchange programme between Wellington and German based artists Friends Are Artists/Freunde Sind Kūnstler. Recently Jordana completed a four month major project with curator Sophie Giblin and artist Hana Pera Aoake (funded by CNZ and the WCC), and prepared for upcoming exhibitions of her latest works, including SOLO 2016 at the Dowse Public Art Gallery. Jordana’s practice spans photography, writing, installation, video and live performance, with video documentation being her primary medium. Her major project 18 easy pieces is a case in point; Jordana didn’t, as is often expected, present a finished product, she shared everything, a year of investigation and documentation of her body in 18 pieces, she says “it is a diary, and the (re)iterative nature of that project has carried on since”. “I was presenting extracted stills and screening works before they felt complete, that was a terrifying experience, speaking to auditoriums full of people, attempting to answer big questions I was scared to even ask myself, before I felt ready, but, I guess I was”. She has been prolific in her work, focusing on the emergence of ‘internet art’ and ‘screen and youth culture’. 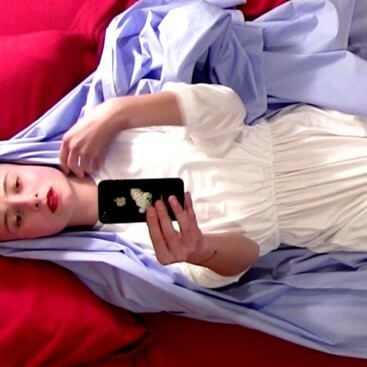 Online she re-contextualises her works using both stills and short clips of the videos on social media platforms such as Twitter, Instagram and Snapchat. Her works have been transformed into a fabric that laces her artistic identity into people’s everyday lives. Often she re-contextualises not only her body of work, but her physical body: A social media pioneer of repetitious themes, concerns, aesthetic and representational exploration. The Bachelor of Fine Arts can be an entrance to professional fine arts practice, or it may lead to a variety of career opportunities in allied fields. These can include art education, arts administration, and key involvement in creative industries where problem-solving skills are in demand. Graduates may also continue on to postgraduate studies in fine arts to further develop their fine arts abilities, knowledge, research interests, and skills.